Are you waiting for New Life, for your talents to bloom? 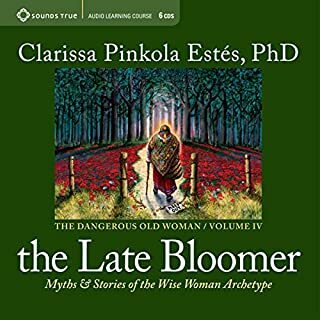 With The Late Bloomer, Dr. Clarissa Pinkola Estes presents volume four of her masterwork on the Wise Woman archetype, bringing you six sessions of origial tales, stories from her ethnic families, poems, blessings, and psychological commentary exploring the cycles of "burgeoning, blooming New Life." A wise and masterful story-teller does it again. Gorgeous recording by a gifted storyteller. Entering the terrain of wisdom comes at any age. We sometimes step, sometimes stumble, and other times are pulled into the territory of the Crone when the need for a deeper, larger understanding of our most meaningful paths in life can no longer be denied, and when the gifts are hidden in our challenges must be brought forth. Another beautiful work by Estes. 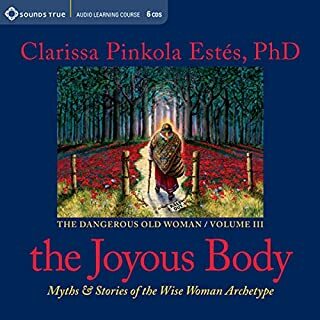 Buried within all of us is what Dr. Clarissa Pinkola Estes refers to as the "one who knows" - our instinctive, intuitive nature. This, she teaches, is the source of creativity and undersatnding that lies out of sight in darkeness, often called the unconscious. 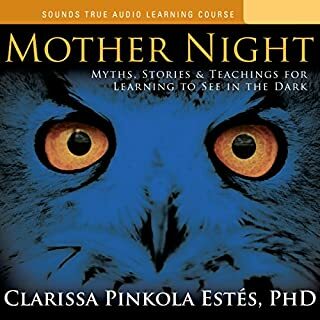 On Seeing in the Dark, listeners join the esteemed Jungian psychoanalyist and best-selling author to learn how to perceive "through the eyes of soul as well as through the eyes of the ego." You're not strange, you're Medial! Dr. Estes asks, "Did you know, you were born as the first and the last and the best and the only one of your kind and that eccentricity is the first sign of giftedness? Those are two of the crone truths I have to offer you." 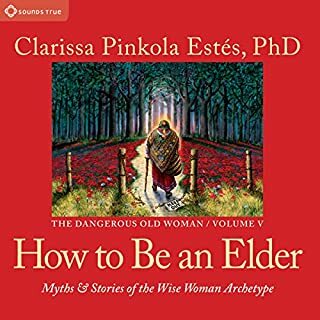 If you have any doubt, come join us at the fireside of the "Dangerous Old Woman" for the soul-healing wisdom that will ignite your creativity and support your highest calling in life - to become a dangerous old woman of wisdom yourself. 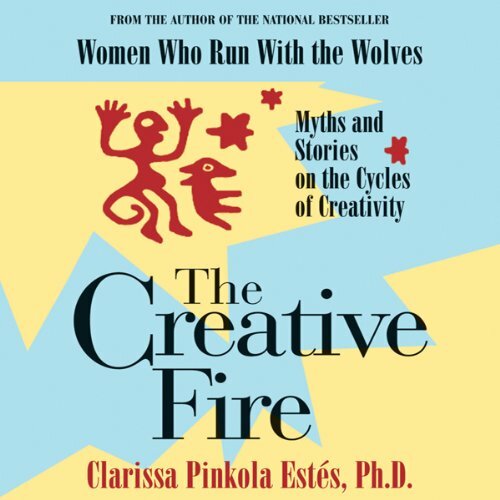 An expanded edition of the classic on creativity by Dr. Clarissa Pinkola Estes guides you through the dark labryinths of the psyche in search of la chispa - the ember that is the elemental source of all creative work. Dr. Estes teaches about the hidden aspects of creativity, including the negative complexes that prey upon creative energy. The Creative Fire includes many special insights for people who create for a living: artists, writers, teachers, and others who must depend on thier creative instincts every day. One of my go-to books when I feel blocked! Clarissa makes it easier for me to understand where those blocks are coming from and how to break through them! I really enjoy the freedom of listening to the book as opposed to reading. This format suits me in that I can work on my digital artwork and listen/explore my inner psyche - which is what art is about. 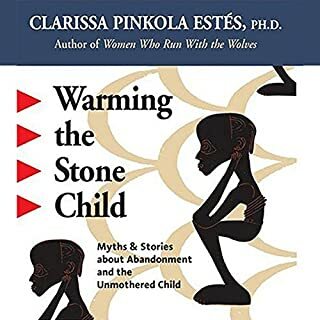 Clarissa Pinkola Estes has been a favorite author of mine since reading "Women Who Run With The Wolves" years ago. That singular book shaped my ideas of my self and women's lives considerably. This book, "The Creative Fire," further serves to inform my deep longing to make friends with my shadow self, with stories and myth. I highly recommend this book to any type of artist who wants to remove creative blocks, and understand how they got there in the first place. I always find myself drawn to Dr. Estes work when I enter a period of deep change or transition. She never disappoints me. I found this audible quite enjoyable. As an artist who experience frequent blocks, Dr. Estes explanations truly resonated with me and I plan to start exercising "active imagination". I recommend this book to every artists struggling to keep their creative fire burning. Love how this book was so deeply spiritual yet very grounded everyday/ness. The creative life is essential to spiritual growth and wholeness, this piece helping connect those dots and has me feeling inspired and reverent about the power of my creative life! Loved it! Great storyteller and creative spirit. The creative cycle and creative block demystified! Doc Estes educates in a manner that draws us in and we don't want to look away. Persephone, the joy of the creative drive, is gone. Hades has come and stolen her away. Demeter, Persephone's mother, the Creatrix herself, in her despair and desperation to find her daughter, Demeter has become infertile and barren. There is no "Spring" anymore and the people are starving. Anyone who has ever experienced a creative block knows this story all too well yet sadly, we have no answer for how and why it happens. Estes explains the mystery quite well AND her book is an absolute joy to read. Doc Estes does not write your typical self-help books. Instead, she brings to the conversation a mirror. One that reveals to us our own journey while teaching us the value of dreams, introspection, poetry and art. She speaks of ancient myths, psychic predators, natural cycles and the value of laughter. "Creative block" can be debilitating and, as Doc Estes points out "creativity" is shared by many fields. Everyone from artists and writers to cooks and scientists rely on creativity to move ahead in their work. If you are a person who is (or has) suffered from creative block or if you are a person who is simply interested in the creative cycle and how the creative mind works, this book should head your list of "books to read." Doc Estes reads the work herself and she's amazing! I love her voice, her enthusiasm and the joy she brings to the subject. I couldn't be more pleased with my purchase. Thanks! The way she used metaphor and ancient myth to make her point. Which character – as performed by Clarissa Pinkola Estes – was your favorite? I liked them all. There was no one character that I favored. The story of the "Corpse Bride." It was as poignant as it was instructive. This is an amazing read! I bought the book a few years ago and I've re-read it FIVE times! This is not your average "self-help" book at all. It's deep and profound and brings an understanding to the creative process that most books on the subject don't even touch on. Great read. This book is for anyone interested in the creative process and understanding it in more depth. The author weaves myth and storytelling to create a magical and inspiring study of the life of creativity. For me dealing with chronic illness and a dearth of ability to express myself, this book expressed everything I am feeling. And it spoke to that layer that is hurting, the wounded subconscious more than I thought possible. It explains the endless cycle of creativity and how to look for the spark to regain it. I was crying without even really knowing why. 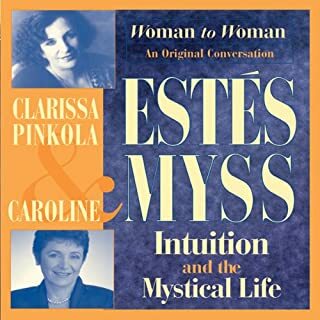 Pinkola Estes has such suggestive rhythmic prose and her voice is hypnotic and lyrical. The book goes over various myths and breaks down how each part of that myth represents parts of the subconscious. Demeter and Persephone, the myth about death and rebirth she brought to life in a way I didn't think possible. And she talks about the little-known spirit of play and mischief, Baubo, that re-lit the creative spark for Demeter to look for Persephone even when all seemed lost. Seeing your own problems through myth, and your own mind through its characters and manifestations is a powerful way to not feel alone, and perhaps even hastens the path towards regaining one's best most creative self. I could completely relate to the content. fantastic narration with depth. I have the gift of new perspectives now that can enrich my creative life. I really loved this book and the narrators vioce, I will listen to this again. I would however also say that it might not be everyones cup of tea, so I would recomend listening to the sample before purchasing. I've read Women who run with the Wolves many times and think it is totally wonderful. This is a great collection of short tales and wisdom in a similar vein from Clarissa. She has such a beautiful voice and is so eloquent and easy to listen to. If you liked Women who run with the wolves you'll love this! Reminds me to be me. To be myself no matter what I think my restrictions are. lantern into the creative self. I loved this audio book its pure precious treasure. wish it came in paper back as well. If the world had a heart and this heart had a mouth, it would speak as Clarrissa Pinkola Estes speaks. Another book of AWESOMENESS by this Badass..
Love love love .Another book of AWESOMENESS by this Badass..I have read all her books and they never disappoint. This is a truly wonderful book. Extremely engaging, intelligent and creatively liberating. I loved it.